Several India cities, including Hyderabad, are likely to witness Occupy protests, albeit on a smaller scale, on June 9. 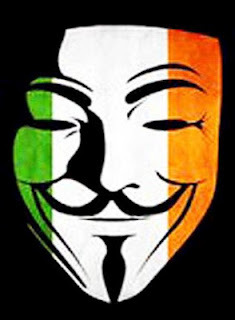 ... Hyderabad, are likely to witness Occupy protests, albeit on a aller scale, on June 9 where protesters wearing Guy Fawkes masks will assemble at a place. They will register their opposition to the moves of the Centre to curtail Internet freedom and oppose blocking of websites or social media accounts. The protests are called by Anonymous, a group of ‘hacktivists'. Facebook, twitter and other social media sites were abuzz with activity on Monday, with the Anonymous calling for occupy protests in Hyderabad and several other cities such as Mumbai, Delhi, Chandigarh, Indore, Kolkata, Bangalore, Kochi and Calicut on June 9. Tweets by Anonymous India (@AnonDDos) and Operation India (@opindia_back) have been eliciting a good response from tweeple from these cities, who pledged their support to the protests. While asking Tweeple to use hashtag ‘#opIndia' to express their opinions and support, the group started an events page on Facebook apart from a webpage to explain why the opIndia movement was being launched. The group alleged that the Department of Telecommunications was laying down stringent rules to curb internet freedom. “…we are protesting against the government's rampant behaviour. We will not tolerate this,” the group declared on its website. The recent activity of disabling of websites of government, corporate and political parties was to protest against the blocking of several websites, blogs and social media accounts, it explained. The group has also listed certain directives for organising the protests. The protesters should wear Guy Fawkes masks, and the protest must be non-violent and in no circumstances should they confront the police. Those indulging in any violent act must be handed over to the police.